What is SSL Certified mean? The 's' stands for secure which means all communication (such has messages, passwords and other data) between you and our server is 100% secure and fully encrypted. 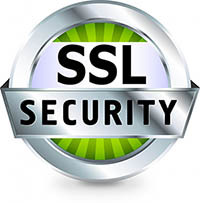 SSL stands for Secure Sockets Layer, a global standard security technology that enables encrypted communication between a web browser and a web server. It is utilized by millions1 of online businesses and individuals to decrease the risk of sensitive information (e.g., credit card numbers, usernames, passwords, emails, etc.) from being stolen or tampered with by hackers and identity thieves. In essence, SSL allows for a private “conversation” just between the two intended parties. Here is a quick video which explains what SSL certified means for you. What is SSL? from SSL.com on Vimeo.